Great Britain has produced a truly wondrous array of record-breaking Olympians in virtually every different discipline there is and has been, from athletics to shooting. To be described as your country’s most successful Olympic athlete of all time, however, is an achievement unto itself. This honour belongs to our generation and, best of all, the individual who achieved it did so in front of his home fans. 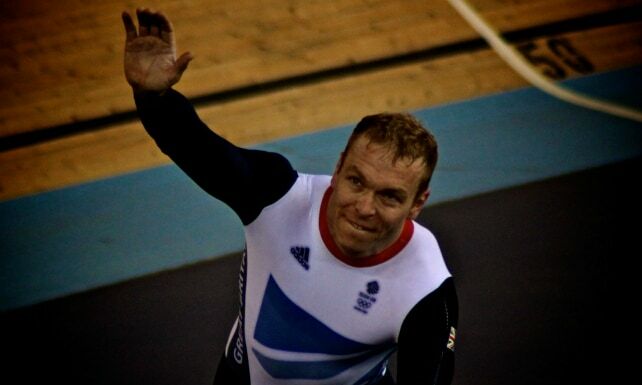 Step forward Sir Chris Hoy MBE. The Edinburgh-born cyclist won his first Olympic gold medal in Athens 2004 in the Kilo – an event that was dropped from the programme for Beijing 2008. Chris, however, took this in his stride and switched his focus to three other track sprint events – the Keirin, Sprint and Team Sprint. He went on to win a gold medal in all three at the Beijing Olympics, cementing his name in the history books. In 2012 at his home Olympic Games in London, Chris was Great Britain’s flag bearer at the opening ceremony, a joyous moment that proved just how important and venerated he was among his compatriots. He then won his fifth and sixth gold medals – in the Keirin and Team Sprint – becoming Great Britain’s most successful Olympic athlete of all time with six gold medals and one silver. Alongside Victoria Pendleton CBE, he was one of the stars of the velodrome. To book Sir Chris Hoy MBE for your Olympic event, charity dinner or corporate conference as an after dinner or Olympic speaker, contact the Champions Olympic Speakers agency on +44 1509 85 29 27 or fill out our online booking form.